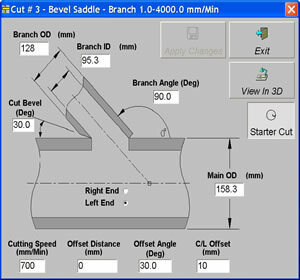 Pipe Cutting Machines | Jesse Co. 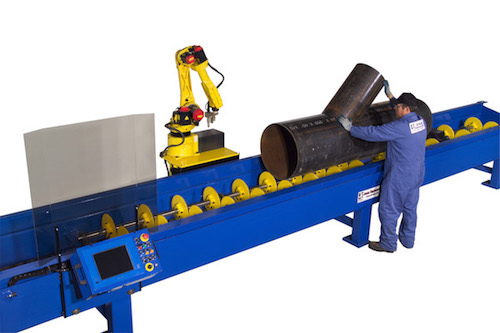 The Jesse Co. SHC-R Robot Series is an eight-axis pipe saddle/hole cutting machine. The SHC-R is developed for shipyard piping applications. The upgrade of features and the addition of new cut parameters expand the utility of the machine to other industries. We entered into collaboration with FANUC NORTH AMERICA to bring their expertise and technology into the development program for our newly developed Saddle and Hole Cutter. Jesse Co. has over ten years of experience in the design and manufacture of automated pipe profile cutting systems and other types of specialized machinery. 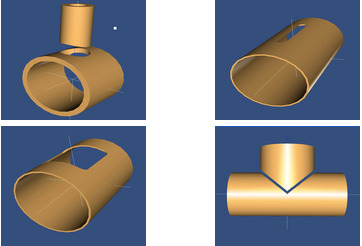 The SHC-R series is designed to provide branch pipe end cuts, with or without weld bevels, for 30º to 90º saddle joints with the corresponding holes. The new SHC-R series design uses a standard FANUC 6-axis robot. The Robot controller coordinates two additional external coordinated motion axis (Roller bed rotation and Carriage linear positioning). 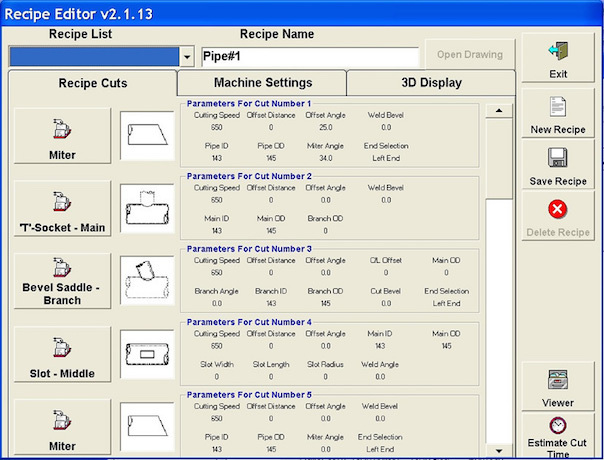 The simple, icon-driven data entry screens and the ability to combine several cuts into a single cut "recipe" are unique and powerful features. The machine is ruggedly constructed for a long service life and uses the FANUC 6-Axis Robot as its main mechanical advantage and technological advancement. It is shipped prepared to accept the options for continuous process operation. 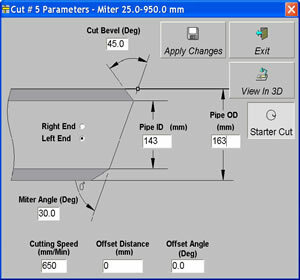 Adding the software enhancements and roller systems options provides a system capable of continuous pipe processing. 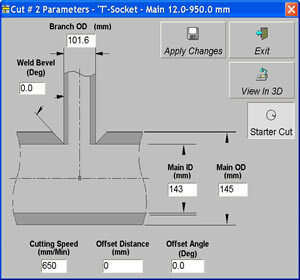 Cutting is by PLASMA (Standard). be taught and saved as a Part Number for recall, on the iPendant. Electrical Service 480/400V 3 Ph. 480/400V 3 Ph. 480/400V 3 Ph.